Draft: 2008, Tampa Bay Rays, 1st rd. Timothy Lamar Beckham…resides in Atlanta, GA…is actively involved in the community of his hometown of Griffin, Ga., during the offseason; has hosted youth baseball clinics at his alma mater, Griffin (GA) High School, and treated Salvation Army kids to holiday shopping sprees…as a senior at Griffin HS, was the No. 1 high school prospect entering the 2008 draft by Baseball America and No. 1 overall prospect by ESPN.com and Baseball Prospectus…hit .482 his senior year as he led Griffin HS to the Region 4A Championship…as a junior, named Baseball America Youth Player of the Year, MVP of the Aflac All-American High School Baseball Classic (San Diego) and Best Batting Prospect at the 2007 Area Code Games (Long Beach, CA)…Tim (1st overall) and his brother, Jeremy (17th round), were both drafted by the Rays in the 2008 June Draft…was the first No. 1 overall selection to be drafted from Georgia since Mike Ivie (Padres) in 1970. The Totals - Appeared in 96 games with Baltimore, batting .230 (85x369) with 45 runs, 17 doubles, 12 home runs and 35 RBI...Strong September - In 18 games in the month of September, hit .297 (19x64) with 12 runs, 3 doubles, 3 home runs and 8 RBI...Swung on and Belted - Recorded his 3rd career multi-homer game on Sept. 23 at New York-AL…homered off J.A. Happ in the 2nd and off A.J. Cole in the 6th…drove in 3 runs in the Orioles 6-3 win...Back-to-Back - Homered in consecutive games, July 7-8 at Tampa Bay…marked the second time in his career to homer in at least 2 straight games…homered in 3 straight games, Aug. 3-5, 2017 vs. Detroit...Play the Hits - Tallied a season-high 4 hits on Sept. 1 at Kansas City…doubled, homered and drove in 2 runs in a 5-4 loss…marked his 4th career game of 4+ hits...Lost Time - Placed on the 10-day disabled list with a left groin strain on April 25 (retroactive to 4/24)…transferred to the 60-day DL on May 13…reinstated from the DL on June 25…appeared on rehab assignments with Double-A Bowie (3 G) and Triple-A Norfolk (4 G)...Return - After being reinstated from the disabled list, hit .246 (70x285) with 37 runs, 13 doubles, 11 home runs and 31 RBI in 73 games. Began the season with the Tampa Bay Rays...Batted .259 (82-for-317) in 87 games for the Rays...Acquired in a trade from Tampa Bay on 7/31 in exchange for RHP Tobias Myers...After joining the Orioles on 8/1, he hit .306 (66-for-216) with 13 doubles, 10 home runs, 36 runs, and 26 RBI in 50 games...Hit safely in 39 of the 50 games with the Orioles & tallied multiple hits in 19 games...Combined for a .287 average (148-for-553) between the two clubs…Set single-season career-highs in games played (137), hits, runs scored (67), doubles (18), home runs (22), RBI (62), walks (36), stolen bases (6) and batting average...Made his Orioles debut on 8/1, going 2-for-4 with a double and two runs...Hit .394 in the month of August (50-for-127) with 27 runs scored, six home runs and 19 RBI…Hit safely in 27 of 29 games in the month, including a career-best 12 straight games from 8/1-8/12 and an 11-game streak from 8/21-9/1...According to Elias, Beckham's 50 hits in August were the second-most hits in a calendar month in Orioles history (Cal Ripken, Jr. 53 in Sept. 1983)...According to STATS, he became the third player in O's history (since 1954) with a hit-streak of at least 12 games to start their Baltimore career (Newhan 15, 2004 & Lopez 13, 2004)... Became second player in Modern Era (since 1900) to have at least 40 hits in first 22 games with a new team after playing for a different club earlier that season (Matt Holliday with STL in 2009)... Recorded 30 hits in first 15 games with the O's... According to Elias, his 30 hits were the most in a player's first 15 games for a team since Kenny Lofton had 31 for Atlanta in 1997... Recorded a career-high three doubles on 8/12 at OAK; according to Elias, he became the first Orioles lead-off hitter with three extra-base hits in a game since 2012 (Nick Markakis)...Collected a multi-hit game in each of his first five games with Baltimore (8/1-5); first time in his career recording more than two-straight multi-hit games...According to Elias, he became the first player in modern Major League history (since 1900) to record 13 hits and three home runs in his first five games with a team...Recorded an RBI in five-straight games for the first time in his career from 8/2-8/6...Also scored a run in a career-high fivestraight games from 8/1-8/5... Named AL Player of the Week for the week of 7/31-8/6 after hitting .583/.600/1.167 with three doubles, one triple, three home runs, six runs scored, and six RBI in six games played... Hit the 10,000th home run in Orioles history on 8/5; also hit the 2,500th home run by an Oriole in Oriole Park history on 8/3...Slugged his third career lead-off home run on 9/4 vs. NYY; all of his lead-off home runs came last season with the Orioles (8/14 at SEA and 8/16 at SEA). Over two stints with the Rays, appeared in 64 games and made 51 starts (23-SS, 16-2B, 5-1B, 4-3B, 3-DH)…was one of four AL players to start multiple games at all four infield posi-tions, along with HOU Marwin González, TEX Jurickson Profar and DET Andrew Romine. Made his second consecutive Opening Day roster…optioned to Triple-A Durham on May 25 and recalled on June 1…optioned to Durham again on Sep 1. Finished his season riding a career-high 10-game hitting streak, batting .429 (15-for-35) during that span, before he was optioned. From the All-Star break through the end of August, hit .327/.365/.520 (32-for-98) with 7 2B, 3 3B, 2 HR, 9 RBI and 15 runs in 29 games. Twenty-two of his 49 hits (44.9 pct.) went for extra bases (12-2B, 5-3B, 5-HR)…over the past two seasons, 42 of his 94 hits (44.7 pct.) have been extra-base hits. Eleven of his 16 RBI, and 4 of his 5 HR, came on the road…in his career has hit .285 (55-for-193) with 10 HR on the road, compared to .195 (42-for-215) with 4 HR at home. Went 5-for-5 on July 18 at COL, tying the club record for hits in a game…became the ninth Ray to do it, and first since Mikie Mahtook on Sep 18, 2015 vs. BAL…was the first Ray to do it in a road game since Matt Joyce, June 29, 2014 at BAL…was the sixth of these 9 instances to do it in 5 AB. From July 18-21 at COL/OAK, tied club records with hits in 8 straight at-bats and reaching base in 9 straight plate appearances…his 8 consecutive hits tied Ty Wigginton (2007) and Aubrey Huff (2004) and his reaching base in 9 PA tied Logan Forsythe (2015) and Melvin Upton Jr. (2011). Belted 2 3B on Aug 20 vs. TEX, tying the club record (14th time)…joined Carl Crawford (4x-last April 25, 2008 vs. BOS) as the only players (Rays or visitors) to do it at Tropicana Field. Went 1-for-16 (.063) when coming off the bench, compared to .264 (48-for-182) as a starter. Returned from a torn right anterior cruciate ligament to play 15 games for Triple-A Durham down the stretch...underwent surgery to repair the ACL on Dec 17, 2013 by Dr. James Andrews in Pensacola, Fla...began a rehab assignment with Class-A Charlotte on July 21...Rejoined Durham on Aug 12 and went 4-for-6 at Rochester (Twins)...hit safely in his first 9 games back...spent time at 2B (7-G), SS (5-G) and DH (3-G)...Entered the season ranked as the No. 9 prospect in the Rays system by Baseball America, as well as the organization's Best Infield Arm. Joined the Rays from Triple-A Durham on Sept. 18…in his major league debut he singled off Tanner Scheppers as a pinch-hitter on Sept. 19 vs. TEX…became the 18th player in Rays history to hit safely in his first major league plate appearance-the most recent were Robinson Chirinos and Brandon Guyer in 2011, David Price in 2009 and Fernando Perez in 2008…he was the fifth to do it as a pinch-hitter. In his only start (at 2B) on Sep 23 vs. BAL he singled and scored and delivered a sac fly in the Rays 5-4 win. At Durham, made 106 starts at SS, tops in the International League, and 15 at 2B…it was the second consecutive season he spent some time at 2B…led IL shortstops in double plays (65). Batted .291 (44-for-151) with a .371 OBP after the All-Star break with the Bulls, drawing 18 BB with only 29 SO. Batted a team-high .290 in the postseason for the International League champion Bulls. Singled with two outs in the 7th inning of the Triple-A Championship game to break up a nohitter by Omaha's Chris Dwyer, who went on to beat the Bulls, 2-1. Rated by Baseball America as the No. 9 prospect in the Rays system after the season…also rated as the organization's Best Infield Arm. Hit .256 (73-for-285) with six HR and 28 RBI in 72 games at Triple-A Durham...played the first two weeks of the season with the Bulls but missed the next 50 games while serving a suspension for a second violation of the Minor League Drug Prevention and Treatment Program for a drug of abuse...returned on June 23...Played primarily at shortstop (47 starts) but also appeared at second base (24 starts)...it marked the first time in his career that he played a position other than shortstop...In April before the suspension, hit .204 (11-for-54) with zero HR, four RBI and six BB in 13 games...after returning from the suspension on June 23, hit .268 (62-for-231) with six HR and 23 BB in 59games through season's end...Enters the 2013 season ranked as the Rays No. 10 prospect and Best Infield Arm by Baseball America. Split the season betweenDouble-A Montgomeryand Triple-A Durham with an Aug 10 promotion...combined to hit .271 (142-for-524) with 28 2B,12 HR, 70 RBI and 17 SB...had totaled 12 HR overhis previous three seasons combined...combinedto hit .354 (51-for-144) against lefties but only.239 (91-for-380) against righties...opened theseason with Montgomery and finished 5th in theSouthern League with 82 runs...played for the U.S.team in the XM Futures Game in July...enters 2012ranked by Baseball America as the No. 7 prospectand Best Infield Arm in the Rays organization for a third straight season. Spent the season with Class-A Charlotte and started 121 games at SS...hit .256 (119-for-465)with 5 HR and 22 SB...led the team with 57 RBI, 68 runs, 62 BB and 119 SO...hit all 5 of his HR beforethe All-Star break but batted 73 points higher after...drove in a club-record 5 RBI April 28 vs. St. Lucie...reduced his errors at SS from 43 in 2009 to 25 in 2010...was selected to attend the Rays Winter DevelopmentProgram held at Tropicana Field in January...ranked by Baseball America as the Best InfieldArm in the organization. Played for Class-A Bowling Green in his first full minor league season...hit .291 (114-for-392)with all 5 HR against RHP, but only .212 (21-for-99) against LHP...in 117 games at shortstop, committed43 errors (most among South Atlantic League shortstops)...appeared in all 9 slots in the battingorder, but saw the most time at leadoff...was ranked by Baseball America as the No. 6 prospect andBest Infield Arm in the Rays system, and No. 5 prospect in the Sally League. Made his pro debutat Rookie-level Princeton after being selected No. 1 overall in the June Draft...on June 19 signedfor $6.15 million, the largest bonus ever awarded to a player drafted by the Rays...was called up toShort-Season A Hudson Valley on Aug 27 for 2 games...following the season, BA ranked him the No.1 prospect in the Appalachian League, and the No. 2 prospect (behind David Price) and "Best Hitterfor Average" in the Rays system. 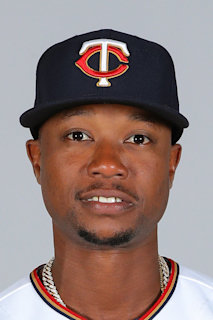 January 10, 2019 Seattle Mariners signed free agent SS Tim Beckham. November 30, 2018 SS Tim Beckham elected free agency. June 25, 2018 Baltimore Orioles activated 3B Tim Beckham from the 60-day disabled list. June 19, 2018 Baltimore Orioles sent 3B Tim Beckham on a rehab assignment to Norfolk Tides. June 15, 2018 Baltimore Orioles sent 3B Tim Beckham on a rehab assignment to Bowie Baysox. May 13, 2018 Baltimore Orioles transferred 3B Tim Beckham from the 10-day disabled list to the 60-day disabled list. Left groin strain. April 25, 2018 Baltimore Orioles placed 3B Tim Beckham on the 10-day disabled list retroactive to April 24, 2018. Left groin strain. August 1, 2017 Baltimore Orioles activated 3B Tim Beckham. July 31, 2017 Tampa Bay Rays traded SS Tim Beckham to Baltimore Orioles for RHP Tobias Myers. July 16, 2017 Tampa Bay Rays activated SS Tim Beckham from the 10-day disabled list. July 7, 2017 Tampa Bay Rays placed SS Tim Beckham on the 10-day disabled list. Left ankle sprain. October 3, 2016 Tampa Bay Rays activated SS Tim Beckham. September 1, 2016 Tampa Bay Rays optioned SS Tim Beckham to Durham Bulls. June 1, 2016 Tampa Bay Rays recalled Tim Beckham from Durham Bulls. May 25, 2016 Tampa Bay Rays optioned 2B Tim Beckham to Durham Bulls. July 12, 2015 Tampa Bay Rays recalled Tim Beckham from Durham Bulls. June 27, 2015 Tampa Bay Rays optioned 2B Tim Beckham to Durham Bulls. June 22, 2015 Tampa Bay Rays sent 2B Tim Beckham on a rehab assignment to Charlotte Stone Crabs. May 31, 2015 Tim Beckham roster status changed by Tampa Bay Rays. May 25, 2015 Tampa Bay Rays recalled 2B Tim Beckham from Durham Bulls. May 23, 2015 Tampa Bay Rays optioned 2B Tim Beckham to Durham Bulls. September 29, 2014 Tampa Bay Rays recalled Tim Beckham from Durham Bulls. August 10, 2014 Tampa Bay Rays optioned 2B Tim Beckham to Durham Bulls. August 6, 2014 Tampa Bay Rays sent 2B Tim Beckham on a rehab assignment to Charlotte Stone Crabs. August 5, 2014 Tampa Bay Rays sent 2B Tim Beckham on a rehab assignment to GCL Rays. August 3, 2014 Tampa Bay Rays sent 2B Tim Beckham on a rehab assignment to Charlotte Stone Crabs. July 21, 2014 Tampa Bay Rays sent 2B Tim Beckham on a rehab assignment to GCL Rays. June 1, 2014 Tim Beckham roster status changed by Tampa Bay Rays. March 30, 2014 Tampa Bay Rays placed 2B Tim Beckham on the 15-day disabled list. Right knee. October 12, 2013 Tampa Bay Rays activated 2B Tim Beckham. October 2, 2013 Tampa Bay Rays reassigned SS Tim Beckham to the minor leagues. September 18, 2013 Tampa Bay Rays recalled SS Tim Beckham from Durham Bulls. July 26, 2013 Tim Beckham roster status changed by Durham Bulls. July 22, 2013 Durham Bulls placed SS Tim Beckham on the temporarily inactive list. March 15, 2013 Tampa Bay Rays optioned SS Tim Beckham to Durham Bulls. November 20, 2012 Tampa Bay Rays selected the contract of Tim Beckham from Durham Bulls. June 22, 2012 Tim Beckham roster status changed by Durham Bulls. May 1, 2012 Durham Bulls placed SS Tim Beckham on the restricted list. April 23, 2012 Durham Bulls placed SS Tim Beckham on the 7-day disabled list retroactive to April 20, 2012. February 14, 2012 Tampa Bay Rays invited non-roster SS Tim Beckham to spring training. August 11, 2011 SS Tim Beckham assigned to Durham Bulls from Montgomery Biscuits. July 13, 2011 Tim Beckham roster status changed by Montgomery Biscuits. July 9, 2011 Montgomery Biscuits placed SS Tim Beckham on the temporarily inactive list. April 6, 2011 SS Tim Beckham assigned to Montgomery Biscuits from Charlotte Stone Crabs. February 16, 2011 Tampa Bay Rays invited non-roster SS Tim Beckham to spring training. April 15, 2010 Tim Beckham roster status changed by Charlotte Stone Crabs. April 8, 2010 SS Tim Beckham assigned to Charlotte Stone Crabs from Bowling Green Hot Rods. February 12, 2010 Tampa Bay Rays invited non-roster SS Tim Beckham to spring training.